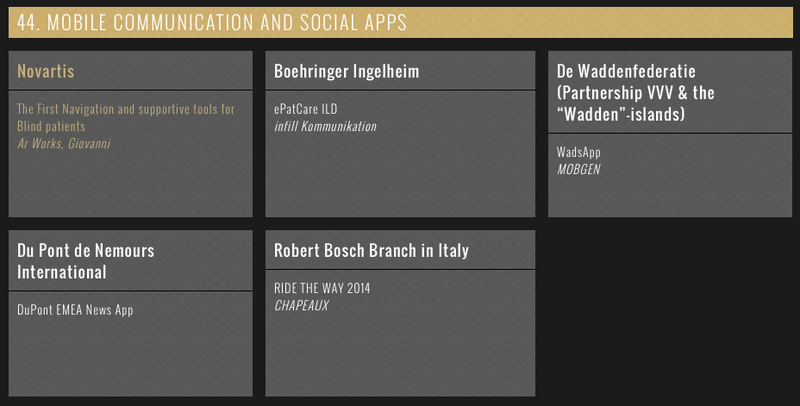 Mobile and tablet applications are getting more and more relevance in the past few years. If we look around the market, several apps were developed for almost everything, so it is not surprising, that fashion industry also tries to follow the trends. People are having their mobile phones and tablets with themselves all day long and they would like to have apps for almost everything they are interested in – and their favorite brands deeply belong to this category. Fashion apps are good for following the latest trends and newest offers of our most beloved stores, and online shopping is also a usual feature nowadays. Shopping clothes or shoes is hard without trying them on, and that is why the most interesting parts of fashion applications are related to two different directions; how can we see the products on our device and how can we customize the items for ourselves. Let’s see some apps about shoes! First it was game apps, then came photo and video editing and sharing ones, and the latest were social and chat apps. But now its another area, which will be revolutionised by mobiles: smartphone solutions for retail, shopper marketing, mobile stores, loyalty program apps, etc – the whole customer journey ending with the actual purchase will move to mobile, too. So it’s vital that mobile apps are linked to the actual products automatically and as easily as possible so customers’ effort is minimised. 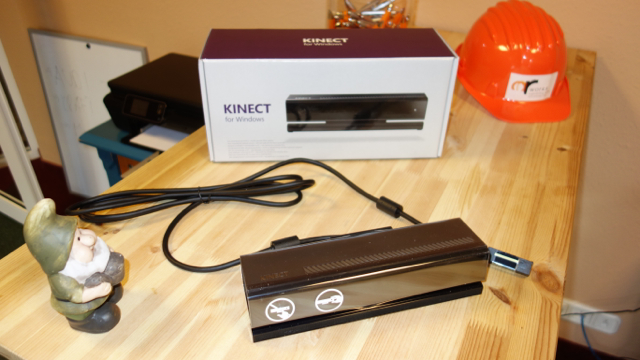 Barcode, iBeacon and Augmented Reality. 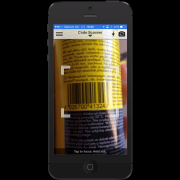 Barcodes are on every product and mobile apps can be developed in a way so they recognise it and show the attached multimedia content. 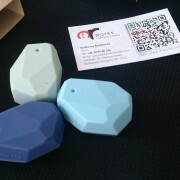 iBeacons can be placed/hidden around or in products (or stores), so apps senses their closed proximity and automatically display any text/photo/video info connected to them. And finally Augmented Reality (AR) can be used in apps to virtually add any type of 3 dimensional animated content to the actual physical product through the screen of the smartphone. As part of our R&D activity we’ve been experiencing with various virtual materials and accidentally we’ve discovered a special type of heating paper. 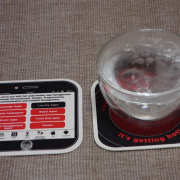 We’ve made a mat from this material – so if you place your cup on it, after a few seconds, the water will start to boil in it . 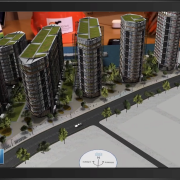 Augmented Reality (AR) based smartphone and tablet applications are perfect to present customers real estate projects – building designs, exteriors, interiors, surroundings - in a unique, 3 dimensional, immersive way impossible with other technologies. Regular solutions always have some flaw – for a non-professional, 2 dimensional images are hard to convert into 3d; rendered flyover videos, without interactivity, are just movies, not too close to the viewer; mock ups are too expensive, exist only one scale ratio and hard to move. Non of these problems arise, if the building is presented on a tablet, with Augmented Reality or 360 technology – and the result is a lot stronger experience. 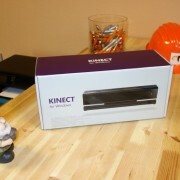 Our very own Kinect 2 for Windows just arrived – expect some very cool stuff in the future. 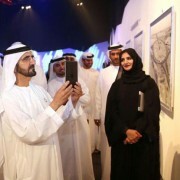 His Highness Sheikh Mohammed bin Rashid Al Maktoum, Vice-President and Prime Minister of the UAE and Ruler of Dubai, announced last week the launch of the Smart City initiative focusing on 6 different areas – Life, Transportation, Society, Economy, Governance and Environment. On the announcement event an Augmented Reality (AR) application was used which indicates that AR technology will enter the highest circles of Dubai – and we’re ready to be part of it. At ARworks we’re convinced that this initiative will turn the daily life of UAE into a fully mobile, connected experience. We’d like to be a part of this digital transformation since our Visually Impressive Technologies (VITs) like Augmented Reality, 360 panoramic photo and video and Kinect based virtual reality could make the otherwise not so spectacular content of mobile applications into a real visual experience – like we did for the Dubai Customs Office on the Gitex, 2013. Apart from this the strong front end app-back end server know-how will help us to built robust, fast data storing and data representation systems – like we’re doing for a government legal institution at the moment. As a result of the initiative, visitors of the 2020 World Expo will feel that they are really entering a Smart City – the city of the future. 7:30 I’m waking up, checking the weather on the live 360 panoramic camera feed from the Burj Khalifa in my bed – sunny day ☺. Preparing kids for school, then leaving the house. On the go my app tells my road toll balance as we’re passing by the toll gate – and congratulates for not overspeeding for 3 months.. Arriving to school, dropping of the family – then booking on my phone the parking spot for today at the office.